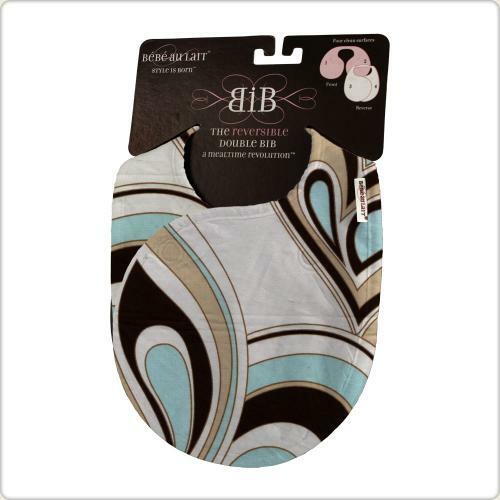 Two-sided double bib has easy fastening magnet closure across chest. Bebe au Lait's signature chic prints & plush terry cloth on the other side. folds compactly. Cute gift choice.